In January, San Francisco Mayor Ed Lee unveiled what he called his "affordability agenda," including a proposed hike in the minimum wage and construction of more low-cost housing. 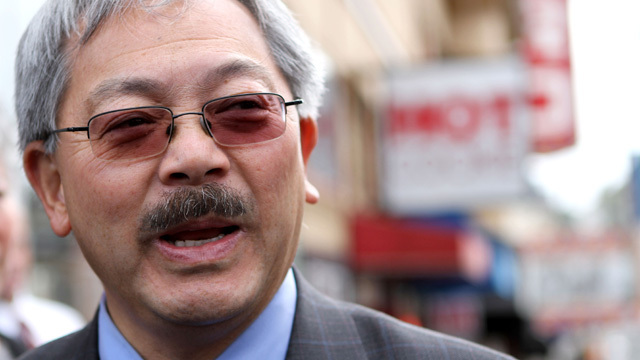 But he also urged San Franciscans not to take the city's economic recovery for granted. "There is not a city on the planet that would refuse to trade places with our robust economic condition right now," he said. Still, some critics say the mayor has been too slow to address the city's housing shortage and rapidly rising cost of living, and that he is too cozy with the tech industry. Mayor Lee joins us to discuss the economy, the future of MUNI, the city college accreditation crisis, State Senator Leland Yee's corruption case and other issues.